JMS was contracted by the United States Coast Guard Academy to design an A-frame for their new 35′-6” aluminum research vessel. The A-frame has a safe working load of 1,500 lb and will be used by cadets in the marine sciences program for raising and lowering test equipment and moorings. JMS also designed davits for raising trawl doors when the vessel is being used for trawl operations. 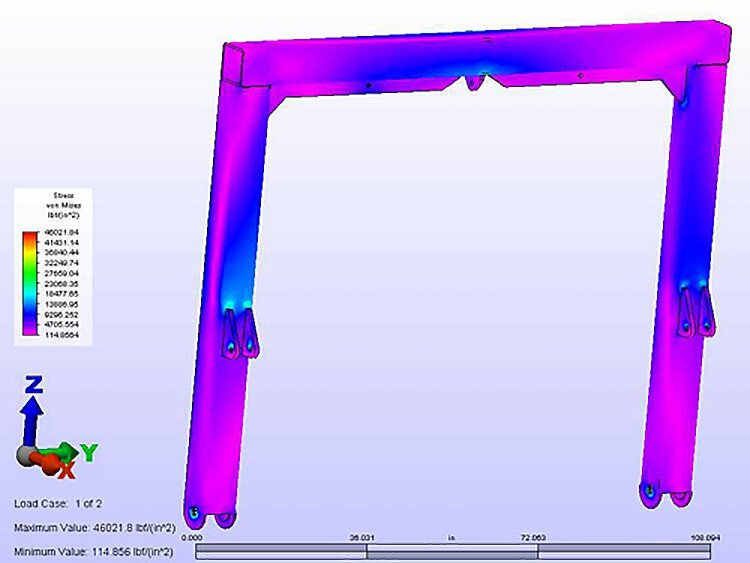 JMS has provided the Coast Guard Academy with a finite element analysis and detailed design drawings for the A-frame and davit. In addition to structural calculations, JMS engineered and designed the hydraulic system. JMS will continue to support the Coast Guard Academy’s research vessel by conducting a stability test for determining the lightship characteristics. Upon approval of the inclining test data, JMS will prepare an intact stability analysis to be submitted for approval and issuance of a stability letter.